My Aspergers Child: Will Your Aspergers Child’s Symptoms Get Worse Over Time? 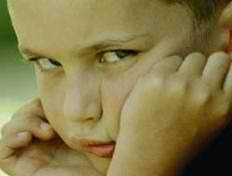 Will Your Aspergers Child’s Symptoms Get Worse Over Time? Aspergers symptoms often become more noticeable at two critical points in the child’s development: (1) when he/she starts school and (2) during, and just before, the teen years. There is no cure, no magic pill that will take the symptoms of Aspergers away. There are however interventions and treatments that can improve functioning and reduce the occurrence of undesirable behaviors in a child with Aspergers. The treatment may be a combination of education, behavior modification, speech or physical or occupational therapy, and different medications to treat associated conditions such as anxiety, depression, hyperactivity, and obsessive-compulsive behavior. Because the symptoms vary as the child grows the treatment too will change over the years. A youngster may have difficulty picking up on social cues, may not know how to recognize personal space when in group situations and therefore preschool educators can help by establishing routines that teach how to interact with others and make a game about personal body space. The elementary school aged youngster may have a large vocabulary but has difficulty with tone (monotone) and the speech pattern may seem rigid. The youngster may fixate on a topic and talk for a long time without being aware that others are bored. The school-aged youngster needs to have routines that are stable. The youngster with Aspergers will learn better if a subject is broken into steps instead of having the "big picture" presented at once. The adolescent has a difficult time dealing with relationships, with communicating with others and with social situations where body language is used to express ideas. School counseling or private counseling may help the adolescent to express how he or she is feeling about body changes and peer-pressure. Speech therapy, physical therapy and occupational therapy can assist any age youngster including adolescents to be able to communicate better and to deal with social situations with better understanding. Adolescents can be helped to have a better chance at getting jobs when they are helped with interviewing skills and are taught how to behave in the work environment. It is common for children and teens with Aspergers to have other associated conditions or disorders such as depression, anxiety disorders, and bipolar disorder, even attention deficit disorder. Medications for these conditions can be beneficial in helping kids and grown-ups to cope with a life in which being able to communicate means being able to belong or not, being able to participate in sports or not, being able to function well in a work environment or not, being able to form friendships, date, or get married and have a normal family life. The treatment plan for Aspergers is individualized as symptoms can range from mild to severe. Medications may reduce anxiety, agitation, and idiosyncratic thinking and may help to improve someone who is depressed. Common medications are Paxil, Prozac, Zoloft, and Risperidone. Social skills training are typically part of the treatment plan. The child with Aspergers needs to learn how to make eye contact, learn proper personal space perimeters, be able to function in a group, and learn how to relate to another child and hold a conversation without monopolizing it. Education interventions are common for school age and adolescents with Aspergers. Educators, and other staff should be educated in how to handle someone with this syndrome; this may include extra training for the teacher, or giving the youngster an instructional assistant. Psychotherapy can help sort out the intense emotional feelings, and can help the child to learn concrete, behavioral techniques, including role-playing. Group therapy or support groups may be utilized to add to the network of support for the child. An adolescent needs someone such as an older adolescent to teach them how to dress, and use the current slang or the rules of cliques at school. An effective treatment program builds on the youngster’s interests, offers a predictable schedule, teaches tasks as a series of simple steps, actively engages the youngster’s attention in highly structured activities, and provides regular reinforcement of behavior. With effective treatment, kids and teens with Aspergers can learn to cope with their difficulties, but they may still find social situations and personal relationships challenging. Many grown-ups with Aspergers are able to work successfully in mainstream jobs, although they may continue to need encouragement and moral support to maintain an independent life.